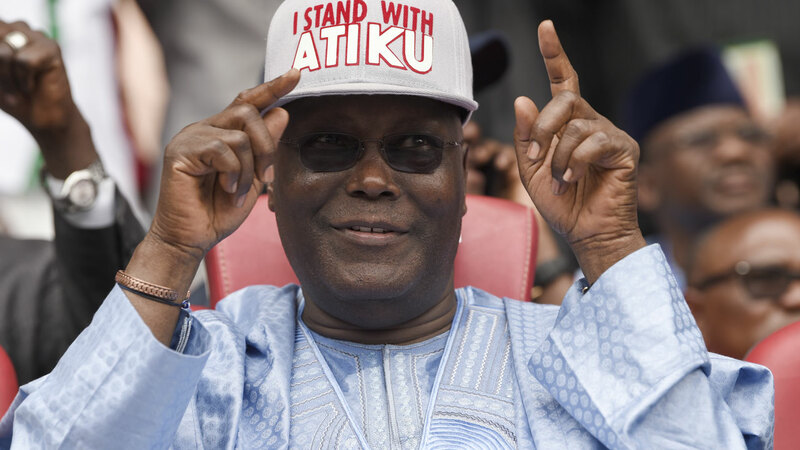 Everything worked in favour of the penitent Peoples Democratic Party (PDP) as it regained its national political stamina through a successful special national convention and presidential primary that threw up Alhaji Atiku Abubakar. Atiku’s election was both historical and instructive, because he became the second vice president elected on the party’s platform to run for the office of president. 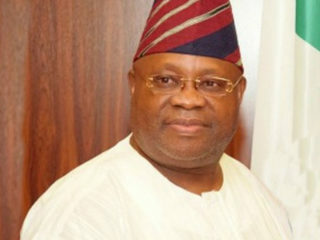 The former vice president could be said to possess the institutional memory of the party, having been one of the founding members of PDP, on which platform he won the 1999 gubernatorial election for Adamawa State before being invited to serve as presidential running mate to Chief Olusegun Obasanjo. Prior to the announcement of final results of the hotly contested presidential primary, the chairman and secretary of the convention planning committee, Governor Ifeanyi Okowa and David Umahi, played up the tension and suspense in the main bowl of Amasiemeka Stadium by reeling off the vote tallies for the contestants from the least numbers. This must have gotten to Atiku as he got up from his seat prompting many to speculate that the former vice president wanted to storm out of the venue in the middle of the sorting of ballots. However, midway into the sorting, the Director General of Atiku Presidential Campaign Organisation and former governor of Ogun State, Otunba Gbenga Daniel (OGD) strolled to the podium where the sorting was taking place. It was obvious that OGD could not contain the anxiety welling up in the heart of his principal, but whether out of his own personal curiosity or response to the prompting of his master, the former Ogun State governor peeped into the boxes containing the ballots of various aspirants. 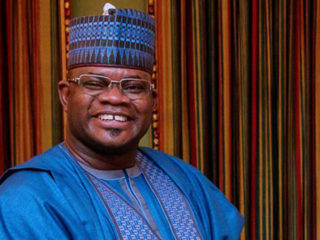 And convinced as a precision scientist that the heap of his camp’s ballots exceeded those of others, he gave a thumb up sign, the hidden message of which was not lost on many of the Atiku’s supporters that erupted in spontaneous shout of ‘ATIIIIIKKKUUU’. Midway to the counting of votes, the Ebonyi State governor, Umahi, announced that the chairman of the convention planning committee, Okowa, should take over and announce the remaining ballot boxes. And the suspense mounted. Although the weather was clement and the sky bright, the winner of the primary election, Alhaji Atiku Abubakar, decorated his acceptance with tears from a mixture of joy and sadness from reminiscences of his 40 years’ political journey. From the way he rendered his acceptance speech and what transpired shortly before his declaration as winner at the Adokie Amasiemeka Stadium in Port Harcourt, Rivers State, yesterday, it was obvious that the fourth republic vice president was moved by the sweet savour of the electoral victory and the pain from frustrating circumstances thrown on his way by political upstarts. He said: “What you have done is the culmination of 40 years’ political journey; I have been involved in five primary elections. Some were successful, others went the other way. “I am humbled by the outcome of the present exercise. I think I am moved.” Atiku fought back, tears as he pushed through these words. The journey to victory for Atiku was not an easy one. 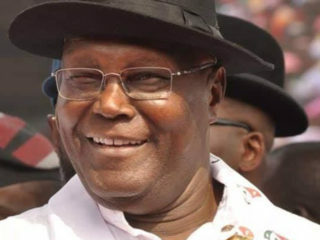 Ever since former President Goodluck Jonathan hinted at the possibility that Atiku could make the difference if he returned to PDP last year, the Waziri of Adamawa began what could be described as a blitzkrieg of campaigns and engagements. He delivered public lectures on restructuring, stoked political action committees, including the Northern Political Stakeholders Assembly and the dialogue between Southern and Middle Belt leaders. In all his ideas of forming a broad platform for understanding and oiling the wheel of his political progression, the former vice president encountered obstacles from open detractors and envious rivals. 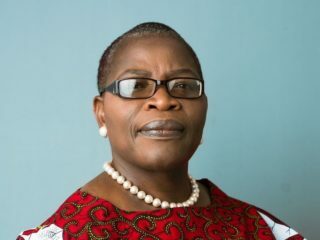 His former principal, Obasanjo, remained a vocal opponent such that it was said that Obasanjo’s attempt at founding a third force political movement was aimed at scuttling the emerging momentum being engineered by his former deputy. But, while aides and political allies from Southwest and the military worked on the former President, a new and potent force arose in the person of Governor Nyesom Wike, the incumbent governor of Rivers State. Wike’s opposition to Atiku’s rising clout for the PDP ticket was very formidable such that it was said that the Rivers State strong man went to Sokoto, where he allegedly promised the Sultan to hand over the party’s presidential ticket to Governor Aminu Waziri Tambuwal. The pledge to ensure that Tambuwal clinches the PDP presidential flag for next year’s election came to light recently when the issue of having Port Harcourt as venue of the convention became contentious. Although the PDP National Executive Committee (NEC) changed its mind and retained Port Harcourt as venue, Wike’s overt preference for Tambuwal reared up again as talks for a possible consensus option began. The Rivers State governor was said to have informed his colleagues that the reason behind his support for his Sokoto State counterpart was that the caliphate would make crucial inputs in the process of weaving other emirs for a groundswell of support in the north for Tambuwal to defeat the candidate of All Progressives Congress (APC), President Muhammadu Buhari in next year’s poll. The attempt to entangle traditional rulers in active partisan politics was said to have peeved some of the PDP governors to the extent that governors opposed to a Tambuwal presidency wondered why Wike should arrogate unto himself the power to negotiate collaborations for other state governors. Despite the opposition of other PDP governors, it was also disclosed that the entry of Senate President, Dr. Bukola Saraki into the presidential contest altered the equation by detracting from the youthful argument that was working in Tambuwal favour. Those who argue that the entrance of the Senate President dimmed Tambuwal’s chances, claim that Saraki’s 317 votes would have naturally gone to the Sokoto State governor, adding that Tambuwal’s 693 and Saraki’s 317 would have put the ticket beyond Atiku. Yet it was also said that Saraki’s 317 vote haul was due to his late entry to the race coupled with frequent distractions orchestrated by the Presidency and the ruling party that did not want a Saraki on the presidential ballot to compete with Buhari for the crucial Southwest votes in the general election. Like Tambuwal, the Senate President was engaging in presidential election for the first time, even though the latter did not have a deep vault of fiscal resources to compete like Atiku and Tambuwal, who was financially supported by Wike. Also, Saraki’s aspiration did not reportedly receive the support of north central and the rest of the north. More than this, he had the governors led by Wike to contend with. Retired generals from the north threw their support behind Atiku, ostensibly to ensure that the caliphate did not become so powerful as Wike wanted. An added advantage was Atiku’s experience in the management of delegates and presidential elections, which his political groupings like Peoples Front of Nigeria and Peoples Democratic Movement have been doing from the 1990s, which culminated in the trouncing of PSP group to seize the then Social Democratic Party (SDP). Unlike Saraki and Tambuwal, Atiku moved back to PDP in 2016 and started his campaigns very early aided by his tremendous resources, which he deployed widely for the primaries. One other thing that worked in Atiku’s favour and against Wike’s attempt to railroad other governors is the understanding of Southern and Middle Belt Leaders on restructuring. While Ohanaeze convinced Southeast governors and delegates to vote according to the resolution, the South-South states of Bayelsa, Akwa Ibom, Cross River and Delta hearken to South-South Leaders Assembly, just as Afenifere prevailed on PDP delegates from Southwest to line behind Atiku to save Nigeria. Former President Obasanjo had been quiet recently perhaps after noticing the giant leaps of Atiku. The outcome of the PDP primary must have simulated the Zimbabwe scenario where the former President Robert Mugabe campaigned against his former deputy was rebuffed by the electorate. The support of retired military chiefs was said to have influenced Obasanjo’s change of mind as Atiku had explained that his decision not to contest against Obasanjo in 2003 was because he did not want to breach the unity being engineered by the military to indemnify the Southwest for the annulment of June 12 1993 presidential election believed to have been won by Chief MKO Abiola. Rivers State governor, Nyesom Wike, must have opened for himself a new battle front by his overt hostility to Atiku’s aspiration. When Atiku was vice president, Wike was a local government councilor and could not be said to have waged electoral and political battles that the former vice president went through. All these must have moved Atiku to tears. In the attempt to justify the choice of Port Harcourt, the state capital for the PDP national convention following intrigues to shift elsewhere, Wike had said its economic benefits would outweigh the costs of hosting the conventions. Though The Guardian could not verify the cost of hosting the convention, it could verify that all the over 350 hotels in Port Harcourt and its adjoining suburbs were fully occupied days before the convention. A hotelier, Richard Oji, told The Guardian that in uncertain economic times, the choice of Port Harcourt for the PDP convention was a good omen for local businesses. He explained that most hotels had to triple their accommodation rates during the convention due to high demands for rooms. He also explained free-spending by delegates also enhanced the financial fortune of his business. “There was a surge in hotel reservations. Naturally, delegates, politicians, journalists, need places to stay for the duration of the convention. So, a spike in hotel reservations was the driving force behind the high rates we charged and I can tell you this was one of the economic reasons why some persons wanted the convention relocated elsewhere because of the benefits” he said. Governor Wike had argued that hosting the convention would be a kind of economic stimulus for restaurant owners, hotels and other merchants. According to him, the convention would infuse some much-needed vitality into the state economy. However, an opposition party member who pleaded anonymity argued that there were no intangible benefits to the state which he presumed must have expended huge resources on politicking and trying to sway delegates. The Adokiye Amiesimaka Stadium which was used as the venue of the convention underwent a major face-lift for the presidential primaries. However, the state government is going to spend huge sums to clean the stadium of food waste, paper, polyethene, plastic that dotted the vast sport complex after deed. The government will also spend million of naira to evacuate waste generated in the state capital.